Two lovely reviews received this week. I'm smiling. "Beautiful apartment. Lots of thoughtful touches. Bright and airey in the daytime but warm and cosy in the evening. Spotlessly clean and very well equipped with everything you could possibly need. 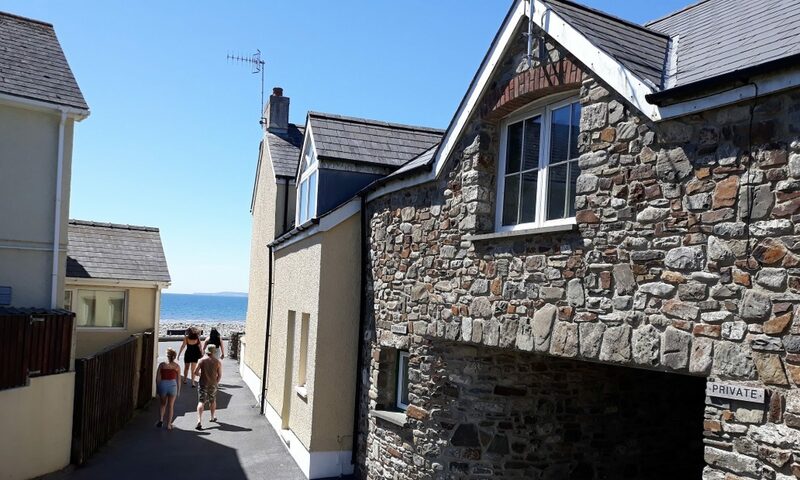 Just a few steps to beach, cafe, shop and pubs. Private parking and a handy outside storage cupboard big enough for several bikes or beach equipment." Fancy a break over the Easter holidays? The apartment is available from Monday 22 April for 4 nights. Price £230. If interested call 01834814211 or message via facebook. Our friends from Good Trails Paddle Board School will be coming along to this year's Saundersfoot Harbour Festival and we can't wait to see them! You can have ago (on dry land) on one of their 'balance boards' and be in with a chance of WINNING a taster session out on the open water with the Good Trails team.